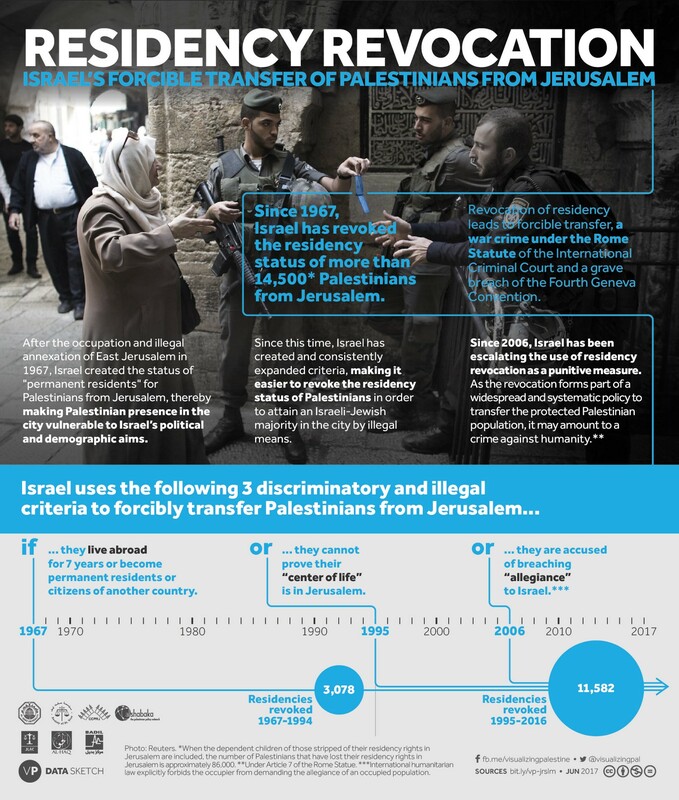 The second info graphic focuses on the unlawful Israeli policy of residency revocation targeting Palestinians from Jerusalem. The revocation of permanent residency status is the most direct tool used to forcibly transfer Palestinians from occupied East Jerusalem, so that a Jewish-Israeli majority can be maintained in the city. 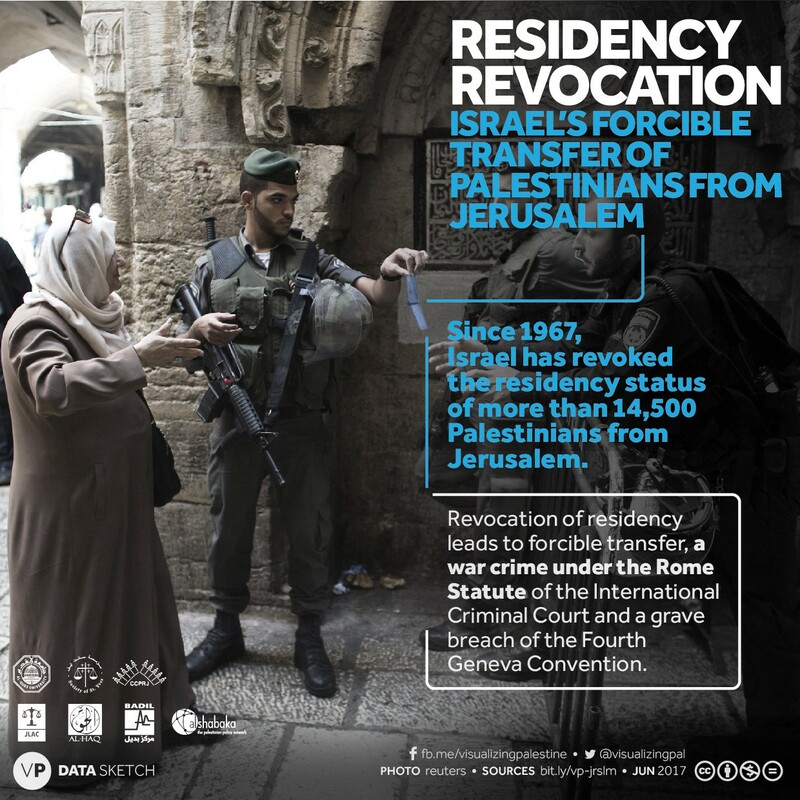 Since 1967, Israel created and consistently expanded the criteria for revoking the residency status of Palestinians, leading to the revocation of the residency rights of more than 14,500 Palestinians from Jerusalem to date. 1967–1995: A Palestinian can lose his or her residency status by “living outside Israel” (and East Jerusalem) for a period of seven years, or by receiving the status of resident or citizen in another country. 2006-ongoing: In addition to the center of life policy, the Israeli Minister of Interior also began punitively revoking the residency status of Palestinians on the basis of a “breach of allegiance.” Consequently, Palestinians who have never left Jerusalem become vulnerable to residency revocation.